Habo's head is quite clear. Head Master said, If read it with heart, he must have been first in the class. But he has given mind to detective. How this spying, let's read the story. 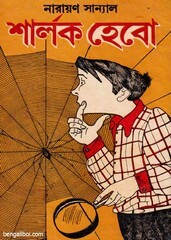 Free download this juvenile detective stories book which is written by the very famous author Narayan Sanyal. The ebook pdf has 125 quality pages, 8mb file size.